A commodity pool is a private investment vehicle that combines investor contributions for purposes of trading in the futures and commodities markets. 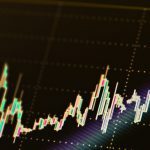 The contributions of multiple investors are pooled into a single fund designed to gain leverage in trading in order to maximize profit potential. Commodity pools are regulated in the United States by the Commodity Futures Trading Commission (CFTC) and the National Futures Association. The CFTC actively investigates whistleblower claims and has brought a number of enforcement actions against commodity pool operators in recent years. Information involving commodity pool fraud can be reported to the CFTC’s whistleblower program. The whistleblower attorneys at McEldrew Young will evaluate your evidence and represent you throughout the entire process, from filing Form TCR to submission of the application for an award. If the CFTC successfully recovers monetary sanctions of $1 million or more based on your information, you could receive an award of 10 to 30 percent. 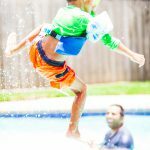 Unscrupulous pool operators violate the law by posting false advertisements, running Ponzi schemes or misappropriating funds. Pool operators are prohibited from operating without properly registering their pool with the CFTC. They are also prohibited from withdrawing money for non-pool related expenses or otherwise charging unauthorized fees. Anyone with original information can report violations of CFTC regulations. 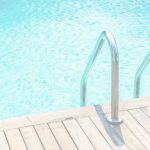 Those likely to possess information about commodity pool fraud include employees of the pool operator; outside professionals, such as auditors, retained by pool operators; and investors who have been victimized. In 2017, the CFTC filed a complaint in federal court alleging that three commodities pool operators ran a fraudulent fund that took more than $3 million from investors to trade futures contracts. The fraudsters lost and misappropriated all of the invested funds while falsely reporting returns of more than 20 percent to investors. 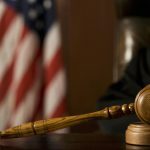 The defendants falsely claimed large trading returns and provided pool participants with false account statements that misrepresented the pool’s profitability as well as the value of each participant’s interest in the pool. Two of the pool operators, who served as traders for the pools, were charged with making false account statements that referenced management fees far in excess of the amounts to which they were entitled under agreements with pool participants. Nearly all of the pool money was lost as a result of the fraud. Commodity pool operators raise funds by soliciting investors and then combine those funds to trade futures and options. Unless eligible for an exemption, all commodity pool operators and trading advisors must register as intermediaries. In addition to registration, there are a number of reporting requirements relating to disclosure documents, periodic account statements, and audited annual financial reports. There are also strict record keeping requirements regarding the pool participants as well as transactional and operational records. Many firms offering investments in commodity pools use funds to trade in the foreign exchange (forex or FX) market. In 2018, the CFTC filed an enforcement action in federal court against a capital management fund and its owner for violations related to forex trading. 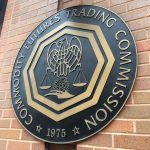 The complaint alleged that the defendants, who failed to register with the CFTC, fraudulently solicited clients for accounts by misrepresenting their forex trading experience and profitability. It was also alleged that the defendants falsely claimed they would implement a hedging strategy to prevent losses of more than one percent. The defendants allegedly attempted to conceal the pool’s losses by transferring part of their commissions into a client’s account. The New York Attorney General also filed a criminal indictment charging the fund owner with grand larceny and violation of the Martin Act, a New York state statute that prohibits the fraudulent sale of commodities products. The CFTC has issued several advisories regarding commodity pool fraud. The CFTC recommends that potential investors contact the National Futures Association or the CFTC to review a company’s registration, background and disciplinary history prior to investing. It also recommends that investors inquire about fees and commissions, account statements provided to the pool operator from registered trading firms, risk disclosure documents, and performance history.